It’s well said that health is wealth and everyone should take care of their health very seriously. Especially those people whose daily job doesn’t need any physical work. Fitness gives you the personal satisfaction and confidence which is very much required to achieve goals and do well. You should set a goal for the fitness like if your weight is more than you can set a goal to reduce your weight or make abs and so on. But this is not as easy as it sounds to be. You need something like a monitor, something like an app which can track all these and help you to keep yourself fit. Today I am going to introduce an amazing fitness app Updown which is more like virtual gym and your fitness trainer. It is a unique app to manage and achieve your workout goals and fitness sessions. 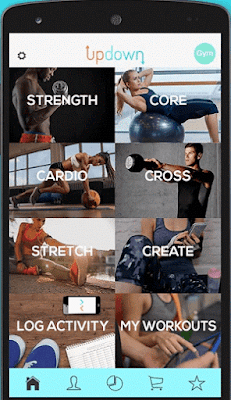 This Updown fitness app is highly customizable and you can add your training, schedules, personal training management, and much more from your smartphones. This app is available for both android and iOS. So now let’s start with the Updown App Review. Updown is a fermium fitness app developed by Updown Technologies, Inc. This app is available for both iOS and Android operating systems. The user can simply visit the play store or iTunes to download and install the app for free. Updown provides personalized fitness experience to the users without even going to the big gym and also contributing to the society for a good cause. I will tell you about this later in this Updown App Review. No matter what goal you have set for you (e.g. Lose weight/build muscle etc. ), Updown will help you to achieve it easily. You won’t have to look for the same fitness video, again and again, to know about the workouts. Updown works on dynamic learning algorithm to build personalized workouts for you based on your equipment, exercise experience, fitness goals, and more using 1600+ animated exercises. It also learns from your progress and calibrates your strength and endurance levels, providing you with the exact amount of reps to perform and weights to use. First of all, you should download the app from the respective stores as per your OS. Download the app from the above links and install it in your smartphones. It’s free to use. Detailed exercise animations and timers guide you through your workouts, so you will always know what to do. 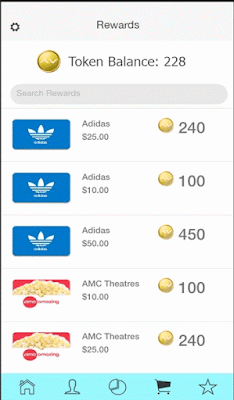 When you will do the workout and log your activities in the app then you will earn tokens that you can redeem for gift cards to your favorite stores, right within the app. Not only you will earn tokens but also each completed workout provides a day of water to someone in need. So indirectly you are helping for a social cause as well. Although the app is free to use but you can go for plus version by paying some charge and earn extra tokens. 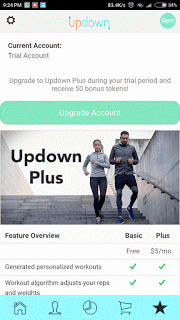 New Updown users will receive a 1-week free trial to Updown Plus and if you will purchase a subscription during the trial period to receive 50 bonus tokens! Updown App enables you to trace new workout friends and buddies who you can even compete with on the leaderboard through gained points and levels as a result of your random exercises. From the dashboard, you can easily customize duration and the intensity of your workout. You can also create your custom training session from the available library. • It’s Free: What can be better than the fact that the app is free to use…joke apart there are many more features which will completely change the way you use to do to workouts. The app is compatible with iPad, iPod touch, and iPhone. Although plus version is also available but that depends on you as I mentioned above. • It’s Social: The app allows you to interact with the people who are having the similar schedule like yours. The App enables you to trace new workout friends and buddies who you can even compete with on the leaderboard through gained points and levels as a result of your random exercises. 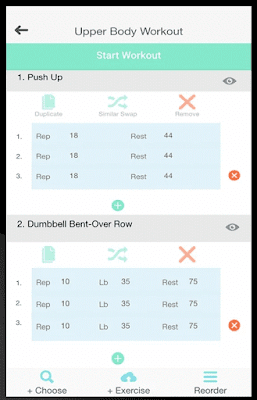 • Highly customizable: From the available workout criteria, you can select those you want and in the order you want. The app is highly customizable and you can make your own schedule. It also depends on the required level of intensity, location, and available equipment, and the workout duration preference settings. • Sample Videos: All kind of exercise in the app is available with some sample videos. These will be highly helpful if you are doing that for the first time. Updown fitness app is a great and much-needed fitness app for all. Especially if you are doing sitting job and the work which doesn’t need much physical work. Customization and connecting to friends are some of the amazing features of the app. The app is free and you won’t have to pay anything. Also, if you would like to try the plus version then also the premium features are available as low as $5/month. In the play store, the average rating of the app is 4.2 based on 359 reviews and has been downloaded around 100k times. In apple store also, the average rating of the app is 4+. Do try the app and share your experience with us!